We have Maeve Sheridan, ACPAT Chartered Physiotherapist at the yard on Monday 1st April. Maeve will be offering a choice of 3 different appointments. You can choose from a 60 minute off horse rider assessment,profiling and treatment appointment, a 90 minute appointment where Maeve assesses you on the horse, then does a full off horse assessment and treatment and then reassesses you on the horse, or a 60 minute shortened on horse assessment where Maeve assesses you on the horse, does a shortened off horse assessment and treatment and then reassesses you on the horse. Appointments cost £65 for one hour or £95 for 90 minutes. If you choose to bring your horse you will need a handler with you to hold the horse while you have your treatment. Spaces are limited and will be allocated on a first come first serve basis. Any cancellations less than 72 hours before the clinic will be liable for full payment. Please wear jods or leggings, no tight jeans!! Do you load one seat bone more than the other? Do you collapse through one hip? Do you find it difficult to sit up straight? Do you find it difficult to turn with your horse? Does you have difficulty controlling your lower leg? Do you fix or grip with one hand? 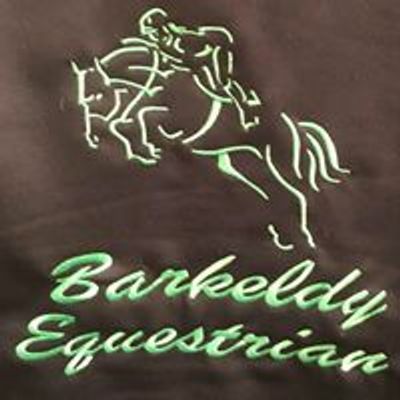 Most of us spend lots of money making sure our horse is comfortable and moving well but neglect to think about how we as riders feel and move in the saddle. A rider’s job is to absorb the natural movement of the horse and to give aids through their seat to try to enhance this movement. 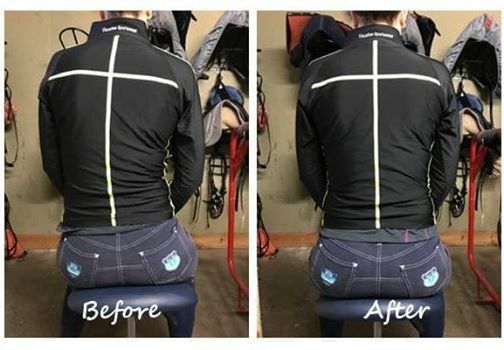 The rider’s pelvis and hips are the interface between the partnership so if rider is stiff or tight through their pelvis or hips or lack neuromuscular control around that area then they will compensate. This leads to gripping with a knee, foot or hand, some will fix through their jaw or twist or rotate through their back and pelvis to appear straight and to stay on board. This makes the horse’s job harder! 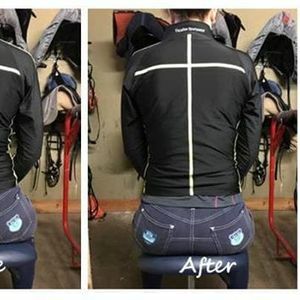 As a physiotherapist who specialises in the assessment and treatment of horse and rider, Maeve has developed an assessment screening process to reveal the rider’s cheats. Through a series of functional movement tests, breathing assessment and strength and stability tests, Maeve can highlight where any weakness, tightness or restrictions are and then uses a sequenced series of neuromuscular activation treatments to make instant, measurable changes to muscle length and function. Each rider will then receive a personal exercise programme of no more than four exercises (to help with compliance!) to work on at home.